Whether you want to find about what types of property are covered by a NC Commercial Property Insurance Policy; want to find out about NC Commercial Building Insurance, NC Commercial Business Personal Property Insurance, or NC Commercial Inland Marine Insurance for your business; or to simply obtain a NC Commercial Property Insurance Quote… you’ve come to the right place. Why Do I Need North Carolina Commercial Property Insurance? If you have a North Carolina Business, more than likely you have a need for some type of North Carolina Commercial Property Insurance Policy. It does not matter if you are you are a one person business, or employ thousands of workers. A North Carolina Commercial Insurance Policy will protect the investment(s) you have made in “physical asset” of your business. Whether your business owns a building, office equipment, tools, or contractor/production equipment; a NC Commercial Property Insurance Policy will protect your business from the loss associated with these types of assets. When purchasing a NC Commercial Insurance Policy, the first thing to consider is how a loss would be settled. There are two methods of loss settlement: Replacement Cost & Actual Cash Value. The majority of all Commercial Property Insurance Policies in North Carolina are written with Replacement Cost Settlement, however, you will find Actual Cash Value Settlements when you are dealing with older items or hard to insure items. So…what is the difference? Replacement Cost Settlement – Replacement Cost Settlement sounds exactly like it sounds. Should you have loss, the insurance company will pay to replace your covered property with an item of “like kind” less your deductible. Actual Cash Value Settlement – The Actual Cash Value Settlement still provides coverage for your property, however, in the event of a loss the insurance carrier will pay the “depreciated” value of your loss. NC Commercial Building Insurance was designed to protect a business from perhaps its largest asset(s), the building(s) the business owns. What would happen to your business if a disaster hit tomorrow and your building was destroyed? Whether you own an office building your business operates out of, a warehouse where your products are made and stored, or if you simply on property that you rent or lease to others, choosing the right Commercial Building insurance is crucial. What are some issues you need to consider? Insurance To Value – This is one of the most mis-understood issues in the insurance field. Many Insurance Consumers (personal and business alike) think that the property should be insured for “what it is worth”. However, “market value” has nothing to do with insuring your property. You could have a property in a very high demand community, thus the market value will be very high; or you could have property in a less than desireable community, thus making the market value low. Insurance Carriers are only concerned with the “Replacement Cost” of your property. In other words, if a disaster hit tomorrow, how much would it cost to rebuild/replace that property.  Within the language of your poilicy, most insurance carriers require that you insure your property for 100% of the replacement cost of your property. If you fail to insure your property to 100% of replacement cost, you will be hit with “co-insurance penalties” if and when a loss occurs. Simply stated, since you decided not to fully insure your property, the insurance carrier will not fully protect your property. Deductible – This is amount of coverage that you are personally responsible for before the insurance company will pay for any damages. Building Construction – Your NC Property Insurance Rates will be partially determined by the age and type of construction of your property. The older the building, the higher your insurance rates. Similarly, the better construction material (100% wood construction vs 100% steel construction) the lower the insurance rates will be. A word of caution: Not all policies are created the same. When you are looking to insure your commercial property, understand what type of policy you are being quoted. NC Business Personal Property Insurance was designed to protect a business from the loss of its business contents. What would happen to your business if a disaster hit tomorrow and every piece of office furniture, machinery, printer or computer were destroyed? What are some issues you need to consider? When thinking about NC Business Personal Property Insurance, a business owner should take inventory of every item in your building should be considered when determining how much coverage to have. Often times, businesses under insure their business personal property simply by not understanding what they have. Equipment – Excavators, Fork Lifts, Tractors, Excavators, etc. Tools – Tools are generally “small” items that employees use to perform their jobs for the business. While most tools have individual values, if you compile the values for all the tools your business has, the amount could be very high.